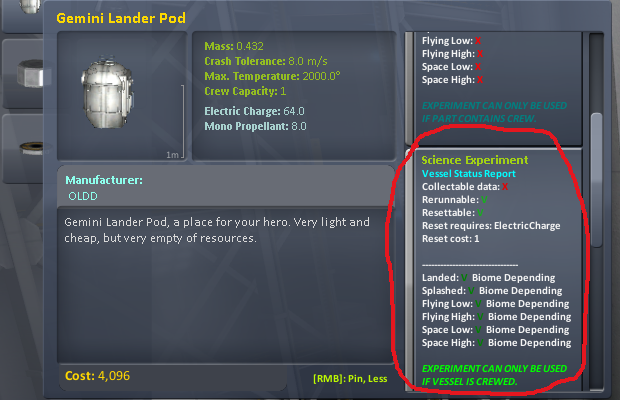 Goal: a bit helping to select proper experiment for mission. Observed partmodules can be configured using CFG. So, it can trace parts containing stock science module "ModuleScienceExperiment", additional infos will be collected from its EXPERIMENT_DEFINITION node. Example cfg with nodes for stock science parts, OLDD, StationScience and DMagic's science parts are enclosed. Seems like it can trace any handmaded sciencemodules with its own names from different mods, but only if it were inherited from stock ModuleScienceExperiment. 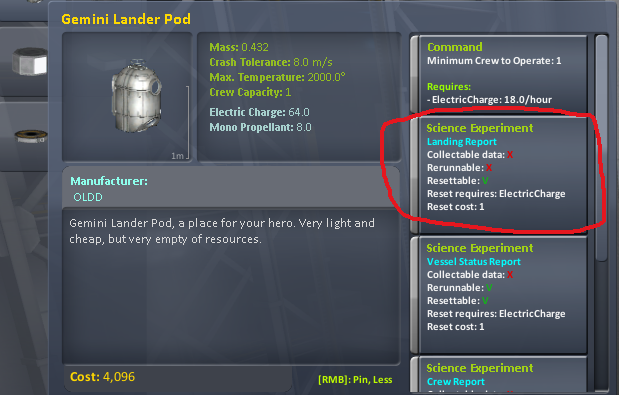 Thanks for downloading Extended information about scientific experiments in VAB!